Hold on to your dinner plans, friends!!! 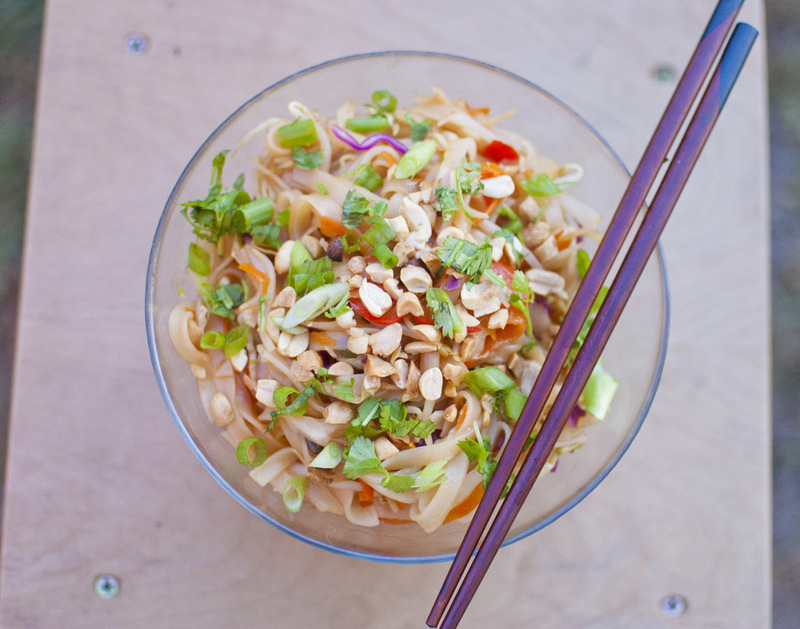 Are you ready to get your super easy Vegan Pad Thai on? Better get yourself ready! 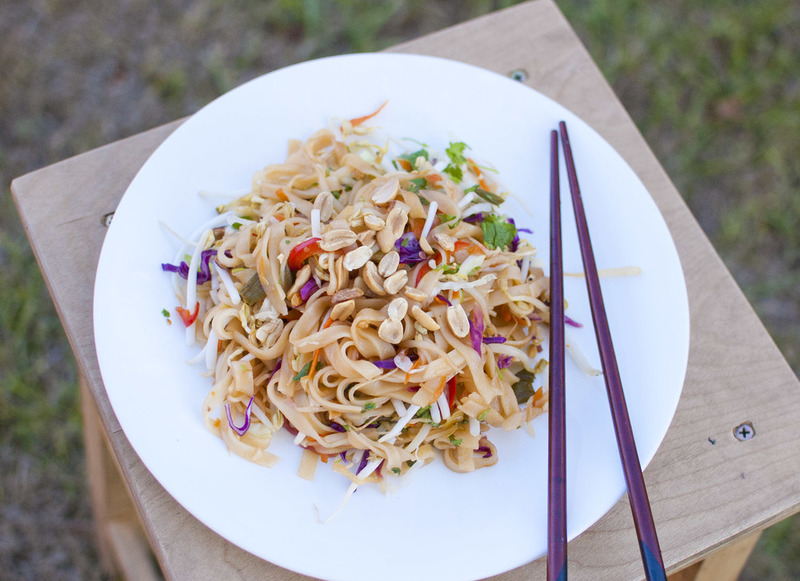 This is a super duper easy simple version of vegan pad thai - with a ton of veggies. It isn't a peanut sauce noodle dish (I've never had a Pad Thai in a restaurant that used peanut butter in the sauce!) 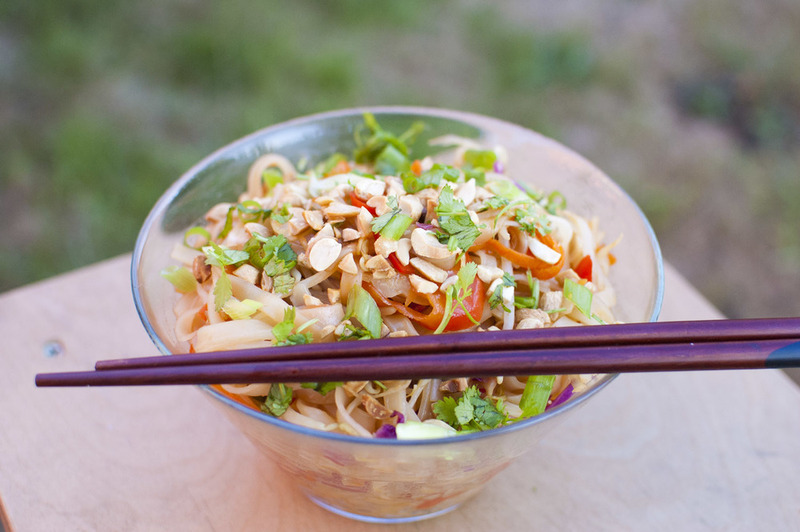 - it's a wonderful Thai balance of sweet, sour, spicy and salty all in one dish with yummy noodles, colorful vegetables and crunchy roasted peanuts on top. I didn't feel like doing a drawing for this one. I'm just feeling too lazy. So in the end the laziest thing I can do is just type out the recipe really quickly. If you're feeling lazy too then consider this for dinner. You can get most of these veggies already shredded or chopped up and just toss it all together. Heat a large non stick pan over high heat. Add in 2 cups of the bean sprouts, 1 cup shredded cabbage, all of the carrots, all of the red pepper, half of the green onions, noodles and the sauce you made. Stir and cook for 4-5 minutes or until the noodles have soaked up the majority of the sauce. Turn off the burner, take the pan off the heat and add in the raw vegetables and cilantro. 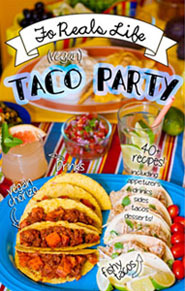 Garnish each serving with some chopped peanuts and serve with some lime wedges and sriracha.